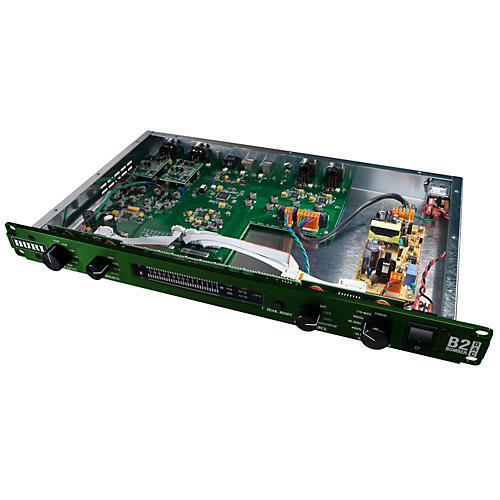 The result of tireless digital to analog research and development, the B2 Bomber DAC features unique class-A, discrete op-amps with passive filtering. Couple this with state-of-the-art conversion technology and the B2 Bomber DAC delivers sonic purity and dynamics that is ideal for monitoring applications in modern recording studios. The B2 DAC punches you in the chest with low end while the 3D spaciality and stereo spread give you amazing detail throughout the spectrum. Add to that a sweet tone that is easy on your ears, and you have a unit that you will instantly fall in love with! The B2 DAC features incredibly low-jitter clocking, precision metering and stepped attenuators, making for high-impact sound that's truly a force to be reckoned with.